“We were very intrigued by the higher lean mass, the possibility that vitamin D can help infants to not only grow healthy skeletons but also healthy amounts of muscle and less fat,” said Hope Weiler, one of the study’s authors and Director of the Mary Emily Clinical Nutrition Research Unit at McGill University. For the first time, a connection was made between the benefits of achieving healthy vitamin D status during a baby’s first 12 to 36 months and how muscle mass develops. 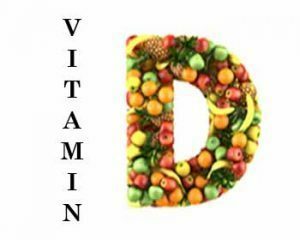 The researchers achieved this by following up on a 2013 study in which 132 infants in Montréal, Québec, were given a vitamin D3 supplement at one of four different dosages between the ages of 1 month and 12 months. The new study confirmed the importance for the development of strong bones of a vitamin D supplement of 400 IU/day during a baby’s first year. This amount is in line with current Canadian health guidelines. The researchers found that higher doses did not provide any additional benefit at least not in terms of bone development. But the body scans used to assess bone density also allowed the team to measure the children’s muscle and fat mass. While there were no significant differences in body composition across the different dosage groups, the researchers found children who had vitamin D stores above the threshold recommended by the Canadian Paediatric Society (CPS) averaged around 450 grams less body fat at 3 years of age. Further analysis also indicated a correlation between lean muscle mass and the average level of vitamin D in the body over the first three years of a child’s life. The only other factor found to make a significant difference to the children’s amount of body fat was their level of physical activity.